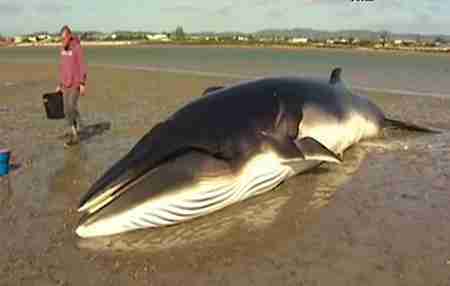 A minke whale who washed up on a coastline was slowly drying out, and time was running out to save him. 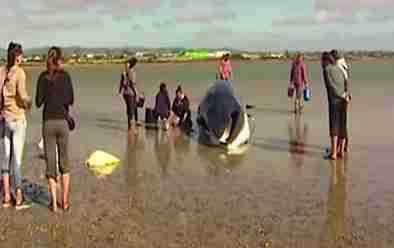 Good samaritans alerted Project Jonah, an organization in New Zealand that helps whales in need. 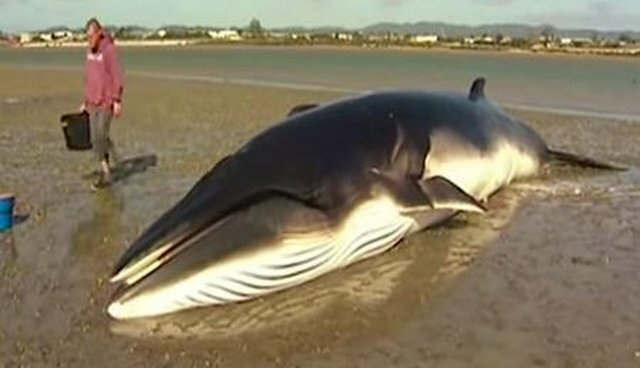 A mother and daughter who spotted the whale stayed with him, gently pouring water over him, until help came. 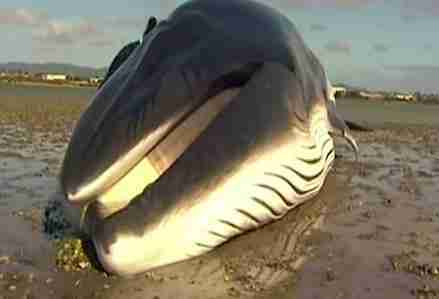 Volunteers rushed to the scene to help the 26-foot long whale survive. Helpers dug a hole in the sand by his blowhole so he could keep breathing. Finally, the tide came in and lifted the whale back to safe waters where he swam free. 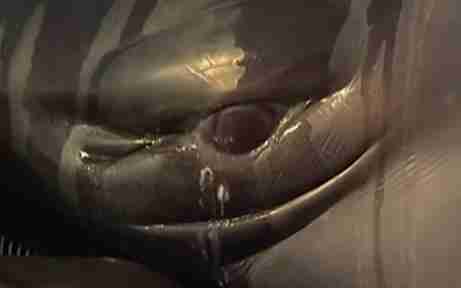 "A few boats are still monitoring the whale in the inner Auckland harbour," Project Jonah wrote on its Facebook page. "We left the whale just after 4pm, swimming past Kauri Point in the direction of the Hauraki Gulf. 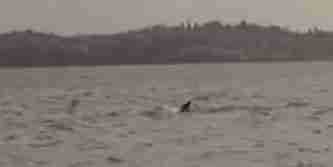 The tide is now going out and we hope the whale continues into deeper water." The minke whale, who was stranded for six hours, likely would not have survived without the help of these kind strangers. Project Jonah is keeping an eye on the harbor to make sure the whale stays out at sea. So far there's been no sign of him.